Canada's nascent public debate over union privileges and "right-to-work" laws has found an unlikely testing ground in Saskatchewan, which is about to pass sweeping legislation that could influence the dynamic of labour relations across the country. The Saskatchewan Employment Act, also known as Bill 85, appears to contain only the least contentious changes to labour relations examined in a controversial government consultation paper that contemplated abolishing one of the labour movement’s most powerful tools – mandatory payment of union dues. Still, changes that made it into the bill, which is slated to go to committee stage this week and is expected to be passed by the end of the spring session, have opponents fearing a serious erosion of union power, and champions proclaiming a new era of provincial labour relations that is fairer to employers. Both sides of the debate agree that Bill 85, of which little is known outside the province, leaves the door open for U.S. “right-to-work” style laws that have made headlines in Canada since December, when border state and union stronghold Michigan became the 24th state to make compulsory union membership illegal. There have been calls in Canada by Conservative politicians at both the federal and provincial levels for similar changes and a debate over the merits of the Rand formula, a staple of Canadian labour relations that requires all employees in a unionized environment to pay union dues regardless of whether they join. Saskatchewan’s bill was introduced to the provincial legislature in December – just as Michigan passed its own controversial legislation – after a months-long public consultation process that contemplated, among other changes to Saskatchewan’s labour laws, rejection of the Rand formula – a prospect that sparked the ire of organized labour and was left out of the final bill. “While we're happy that right-to-work and elimination of the Rand formula didn’t make it into the new bill, there’s a lot of problems with the existing bill,” said Saskatchewan Federation of Labour president Larry Hubich. Those changes include mandating union transparency, redefining a “supervisory position”, and the introduction of voluntary employer recognition of unions that will not be protected under several sections of the act. The bill also proposes other amendments, such as expanding the maximum amount of hours allowed in a standard work day to 10 from eight and indexes minimum wage to inflation. Bill 85 consolidates 12 disparate pieces, or about 900 pages, of labour legislation that the governing Saskatchewan Party says were outdated and made laws difficult to find and follow. Premier Brad Wall’s government proposed the overhaul after legislation to limit strikes by public sector employees was struck down by the Court of Queen’s Bench in February 2012. The government launched an appeal, which is expected to wrap up this year, as well as a broader update of the province’s labour laws. It released a consultation paper last May that highlighted areas it was open to changing; including essential services legislation, limits on working hours, changes to minimum wages and, perhaps most controversially, the payment of union dues. Should union members be able to vote on how their union dues can be used in a secret ballot vote? Should union members be able to stipulate what their dues are used for? Should union members be able to opt out of paying that portion of union dues that is not used for labour relations purposes? To some, re-examining the Rand formula appeared radical in a province with booming economic growth; one of the lowest unemployment rates in Canada, at four per cent; one of the highest rates of unionization, at 35 per cent; and a history of left-leaning policies. Don Morgan, the province’s Minister of Labour Relations and Workplace Safety, said the questions surrounding union dues were included after the party heard the issue raised on many doorsteps during the 2011 election campaign. “We included everything that we thought we wanted to hear from people on; it didn't necessarily mean that we supported it,” he said. Dionne Pohler, a business professor at the University of Saskatchewan, said the bill appears to be “pro-business” but not as “anti-union” as she had expected after reading some of the proposals contained in the consultation document. “They posed them as questions, but there was a lot of very, very obvious right-to-work stuff in it.” she said. Still, Pohler said, the new bill contains elements that could weaken unions, although the effects remain unclear, as many of the more difficult details of the bill (including the section dealing with the essential services bill still before the courts) have yet to be worked out. Her biggest problem with the legislation is how quickly the government has moved to push the complex set of laws through. Some of the bill’s elements, such as voluntary recognition of unions by employers, could be a slippery slope that leads to an erosion of union power, Pohler said. Voluntary recognition could streamline the union formation process by allowing a union with employer backing to bypass Labour Relations Board certification. Certification can be a taxing and laborious process lasting up to two years, said Steve McLellan, CEO of the Saskatchewan Chamber of Commerce. “There’s a natural adversarial environment when a business is being unionized, and it’s a distraction to productivity,” he said. The Saskatchewan Federation of Labour’s Larry Hubich says the practice encourages watered down, employer-friendly unions that risk making favourable sweetheart deals at the expense of workers’ interests. Labour groups also point out that the bill does not require the union to demonstrate it has support from the workers and contains a clause allowing employers to end their recognition, but no recourse for employees to renounce the group or question its legitimacy. The bill is also one of the few in Canada that requires unions to provide audited financial statements to their members and disclose the results of all member votes, a practice that many unions say they are upholding voluntarily, but one that could also cause financial hardship for smaller unions. Morgan said the new rules were adopted because many people said they wanted to know how their dues are spent and how members voted, without being singled out by asking at a union meeting. Inspired by the federal government’s Bill C-377, which enraged labour groups, the less stringent provincial bill could be deemed unnecessary if C-377 is adopted, Morgan said. Union groups are also troubled by the bill’s narrowing of the definition of “employees” who can be included in a bargaining unit, which they say interferes with employees rights to belong to the union of their choice. It expands the definition of supervisory position to include those assigning and monitoring quality of work; those who schedule hours of work or overtime; and those whose duties include confidential access to records on labour relations, business planning or policy advice. That will not only mean a decrease in union membership and funds, Pohler said, but also can “really upset the balance that organizations have struck” and cause friction between workers. But Morgan said the new criteria eliminate conflicts of interest, such as union members who know confidential information about the employer during a collective agreement. Hubich questions the agenda of a government whose Ministry of the Economy is run by an MLA who once proposed right-to-work legislation himself. Bill Boyd, now the province’s Minister of the Economy, tabled the unsuccessful “Saskatchewan Right To Work Act” bill in 1998 that aimed to eliminate the mandatory payment of union dues. 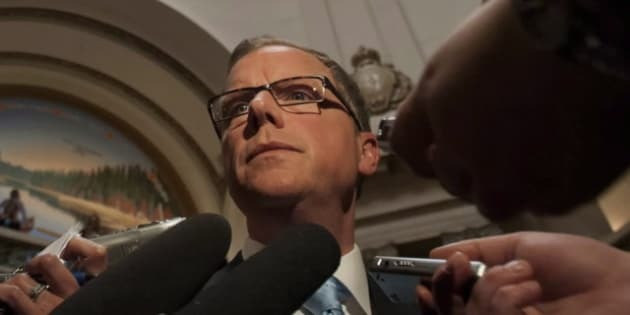 Premier Brad Wall himself has mused about the Rand formula and questioned in the legislature in May whether young people should have to pay union dues. He clarified his belief that individuals should not be allowed to opt out of union dues, but said he is willing to consider whether certain groups – such as students, young people or the disabled – should be let off the hook. Morgan said the issue is off the government’s radar for the near future. There are still provincial business organizations, however, that believe Bill 85 does not go far enough, and which continue to lobby against the Rand formula. The Saskatchewan Chamber of Commerce argued in its submission to the consultation process for right-to-work-style laws, but also recognized they may not be palatable. “Members of unions in Saskatchewan should be allowed to opt out of paying union dues while still being allowed to work within a unionized environment,” the group said. CEO Steve McLellan said the bill’s greatest accomplishment is increasing transparency and fairness from the unions. Still, he believes the government should have gone further in confronting the issue of mandatory union dues. Still, he believes the new legislation puts Saskatchewan “ahead of the pack” compared with the rest of Canada. “The Saskatchewan model of labour renewal, its footprints will be in other provinces very soon,” he said. “There’s a lot of people in this province and throughout Canada that don’t necessarily want to become a union member,” she said. Larry Hubich has “no doubt” anti-union groups continue to lobby the government on right to work, but he says the only way to find out is through an access to information request as the government has fallen short of its promise to create a lobbyist database. He questions why it has taken so long for the government to actually create a lobbyist registry while having no hesitation about consolidating 12 complex pieces of labour legislation into one within the span of a year. Labour groups are calling on the government to postpone a decision on the bill until more is known, but Morgan believes his government has done enough consultation on the bill, and he is confident it is balanced. “We know we’re not going to make everybody happy with it. That’s not the nature of how labour law ever is,” he said.